Bold thinkers, fearless trailblazers, risk takers. These are the characteristics seen every day in thousands of California schools and colleges as California Teachers Association members guide young minds and inspire students to reach their full potential. Educators are inherently leaders. This Annual Report is dedicated to the CTA members whose caring, passionate advocacy is the driving force behind positive education change. Savings to 95,000 CTA members who participated in the Access to Savings program. Grants from CTA’s Disaster Relief Fund to 467 members. Members who attended 22 state conferences. CTA members who attended a special retirement planning pre-conference session to help them on their way to a secure and happy retirement. Leaders who were trained in 169 field-based sessions focused on organizing, leadership development, and member recruitment and retention. Educators who attended a Member Benefits pre-conference session at the New Educator Weekend. New member surveys captured in CTA’s database by the CTA360 app to assist in member engagement activities. Member cases taken on by CTA’s Group Legal Services (GLS), saving members more than $7 million. On June 27, the U.S. Supreme Court issued a 5-4 decision in a case that had been bankrolled by corporate interests who wanted to rig the economic system further in their favor and make it even harder for working people to come together and speak up for one another. The case, Janus v. American Federation of State, County and Municipal Employees Council 31, robbed public employee unions of fair share fee rights. CTA was prepared and adjusted accordingly, vowing that work to ensure quality public education for all students will continue. CTA scholarships and grants to members, their dependents and students to honor and promote teaching and learning. Grants totaling $600,807 through CTA’s Institute for Teaching. Funded by members’ voluntary dues contributions, the average grant was $11,554. A USC School of Dentistry resident treats a Taft City School District student as part of a free mobile dental clinic made possible by a CTA partnership. 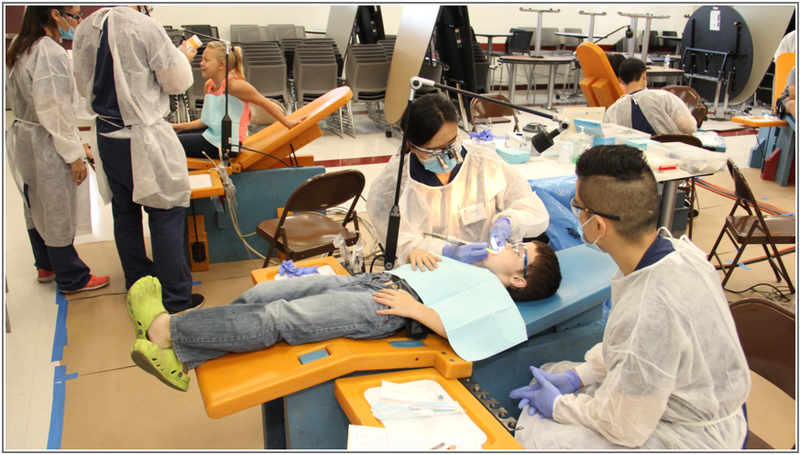 Hundreds of children received free dental care in Taft, Kern County, as a result of a three-year collaboration of CTA, the California Resources Corporation, USC’s Herman Ostrow School of Dentistry, and the Taft City School District. The dental clinic, in a specially equipped mobile van, serviced between 120 and 150 low-income students from six elementary schools. Viewers experienced CTA posts on their Instagram, Twitter and Facebook feeds. LGBTQ+ Grants and Scholarships awarded to promote understanding of and respect for LGBTQ+ persons. CTA chapters mobilized to help North Bay educators and students who lost their in the devastating wildfires of October 2017. In Sonoma County alone, at least 1,298 students, 146 teachers and 89 support staff lost homes. Members said they’re grateful for the support they received from resources like CTA’s Disaster Relief Fund. CTA’s “The League of Extraordinary Educators” campaign highlighted how educators use their “superpowers” to provide all students the quality public education they deserve. CTA has partnered with National Board Certified Teachers to create a community of accomplished educators with the goal of providing great teachers for every child. That support means California has 295 new NBCTs, bringing the total number of California NBCTs to 7,065. CTA members work tirelessly inside and outside the classroom to champion those without voice, whether individual students or marginalized communities. CTA’s Human Rights Awards recognize some of these educators during the annual Equity and Human Rights Conference. These CTA advocates possess a commitment to social justice that is fierce — and inspiring. CTA’s California Reads program offers teacher-recommended book selections for all grade levels, all year long. CTA helps fund community engagement events like the “Our Youth” Film Festival in Bakersfield. Each film ended with a Q&A session with education experts. 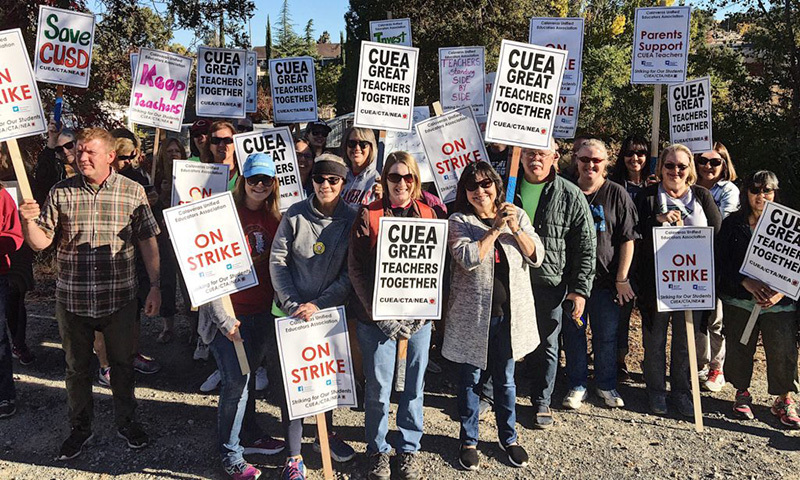 Calaveras Unified Educators Association members held a successful four-day strike to decrease class sizes, create safe schools, and make changes to the salary schedule that will help attract and retain qualified teachers. Banning Teachers Association members also went on strike for three days in August, leading to a successful agreement. Hundreds of successful contract campaigns resulted in a statewide average salary of $80,837 and a three-year average salary increase of 9.8 percent. Unlike most teachers, adult education instructors are not given any paid prep time. They work on their own time, unpaid, to prepare lessons, counsel students and evaluate student work. CTA local chapters, like the Pittsburg Education Association, are pushing for full pay and better professional development. CTA members and legislative advocates successfully pushed for greater accountability and local control for charter schools at a state Senate Education Committee hearing. Topics of concern include the charter petition process, the review process, and problems caused by the appeal procedure when charters are denied for cause locally. 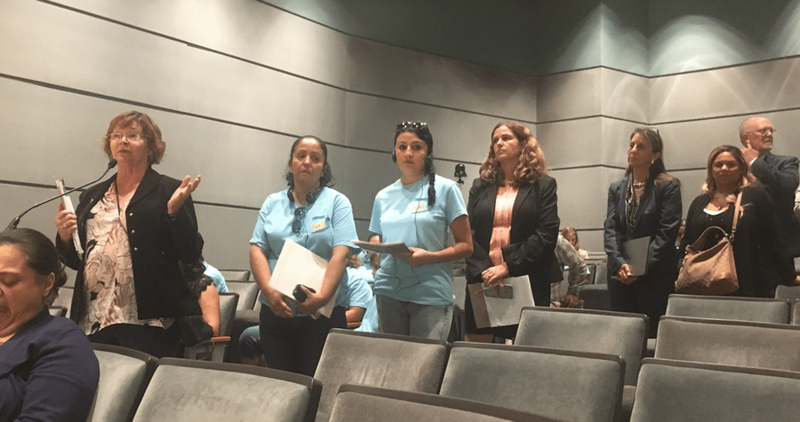 A forum held during the October CTA State Council meeting highlighted the rights of DACA students, their families and educators, and discussed how immigrant rights issues are engaging more members in social justice work. Young people take the spotlight in TV, radio and digital ads from the CTA Media Fund. The ads focus on the impact that educators have in building community at school, motivating students, and imparting academic and life lessons. Video playbacks of the 255 members who told their stories on CTA’s storytelling site. The topics: Arm me not with guns, but resources and sharing Day of the Teacher super powers. CTA’s Association for Better Citizenship Committee works to make sure educators’ voices are heard, providing resources and member advocacy for the June primary. The results? Percentage of California Virtual Educators United (CVEU) members who voted to ratify a contract with California Virtual Academies (CAVA), making the virtual charter the nation’s largest online school with a collective bargaining agreement covering a unionized staff. • Established a cost-of-living adjustment within the Local Control Funding Formula. • Fought tax credits that would have negatively impacted the Proposition 98 guarantee. • Reaffirmed the public employer’s obligation to engage in dues deduction, relying on union membership lists. • Co-sponsored a bill requiring that all low-income charter school students have access to at least one nutritious free or low-cost meal each school day. Local chapters and CTA affiliates received hands-on social media and website technical training. These 31 local chapters and affiliates represent 42,042 members. Teachers trained through the Instructional Leadership Corps, an educator-driven professional development collaborative of CTA, the Stanford Center for Opportunity in Education, and the National Board Resource Center at Stanford University. ILC is a network of accomplished educators creating professional learning. Students are at the center of everything we do. Through collective action, we lead our profession, working for public schools and colleges that benefit our students, faculty and staff in every sector of public education, pre-K through higher education. Together, we make sure all students, regardless of their ZIP code, have the resources and opportunities they need to succeed.